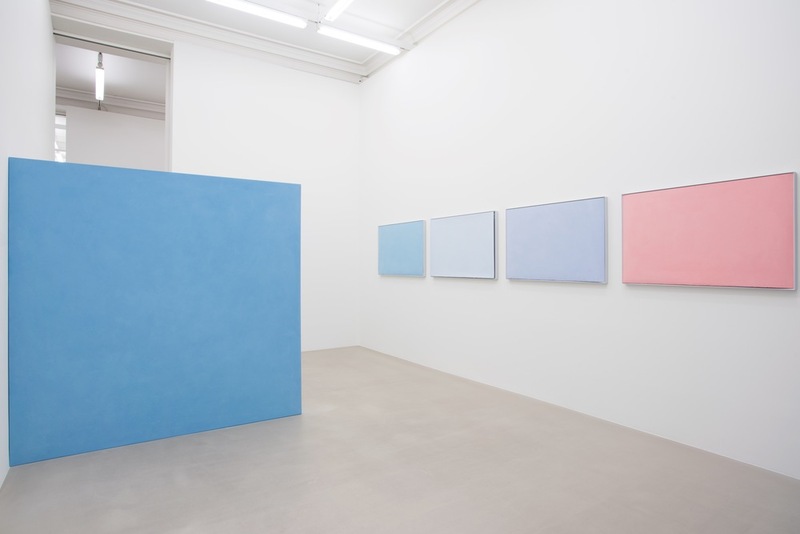 Marian Goodman Gallery London presents Every dawn, is first: its first exhibition by Ettore Spalletti, combining recent and important earlier paintings, sculpture and works on paper in an encompassing yet atemporal installation that permeates and subtly alters the gallery’s interior architecture. 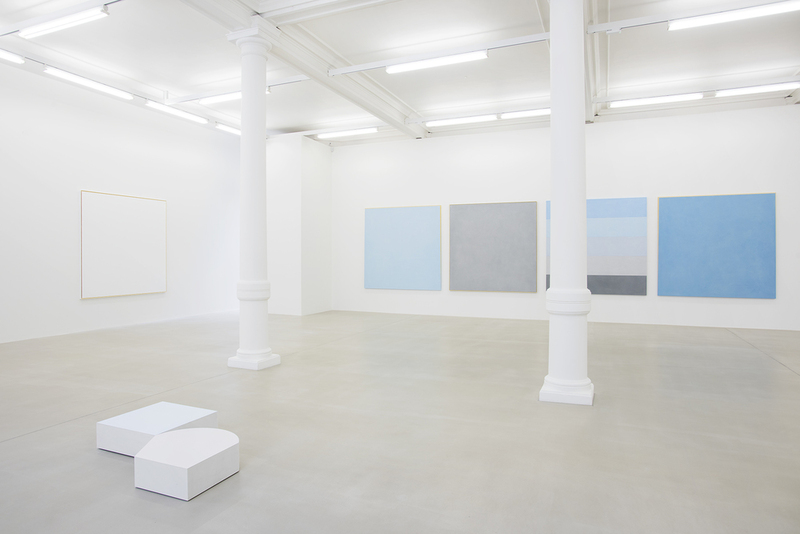 Spalletti presents a series of multi-panel paintings in azure blue. Some torque away from the wall, reaching into the room and saturating it with colour, which itself becomes both physical and structural. 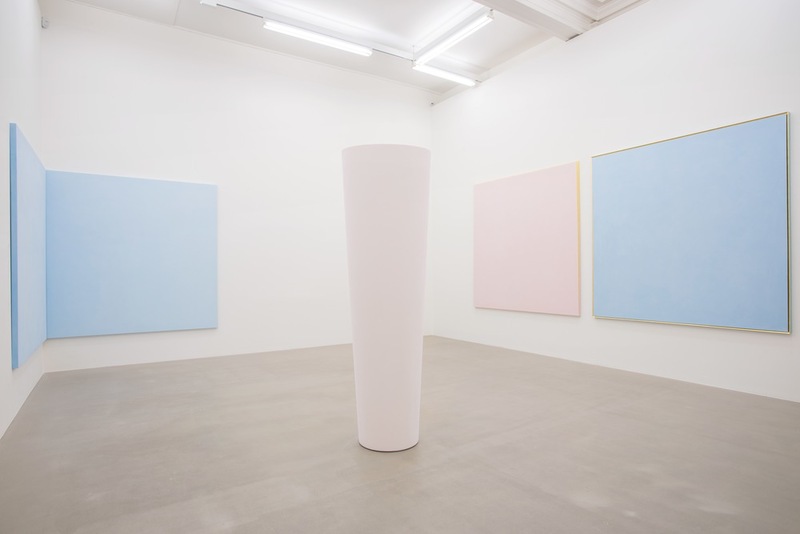 Each work balances a gently insistent presence with an ethereal materiality. 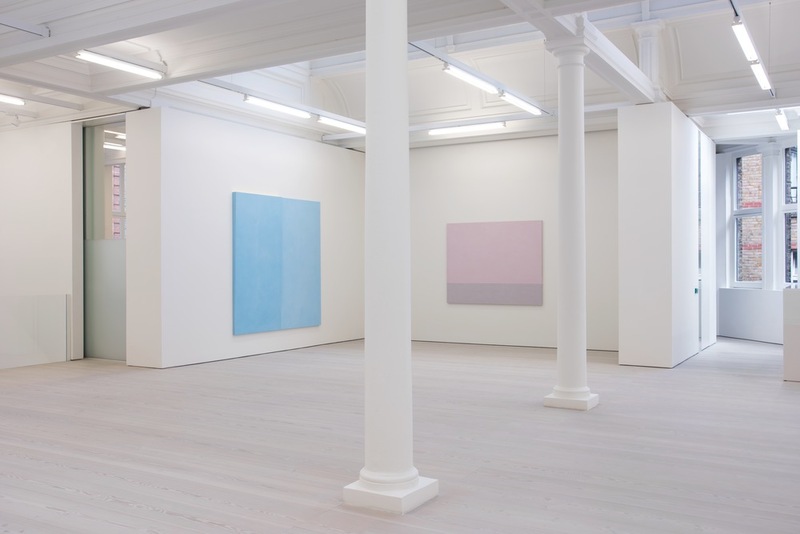 The main upper gallery displays his most recent paintings, including the multi-panel Passeggio works that recall the sea and landscape views from around his studio in Abruzzo, on the Italian Adriatic Coast. 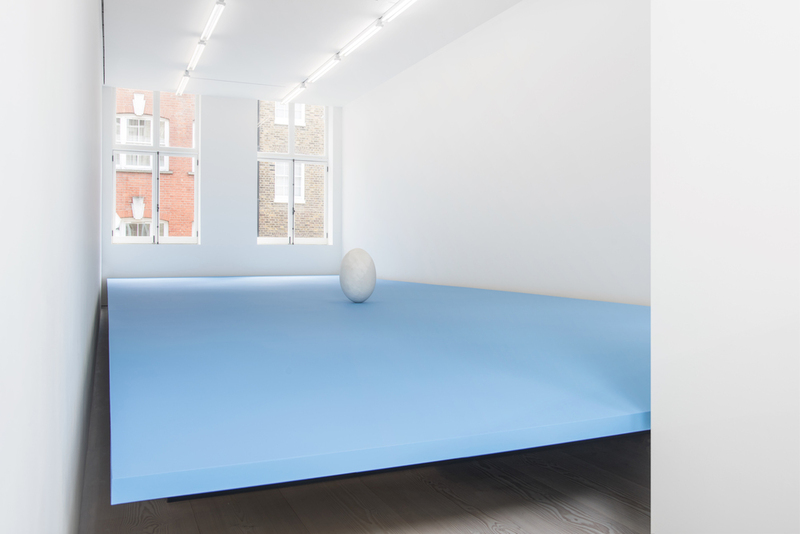 A levitating blue field, supporting an ovoid alabaster sculpture, fills the adjacent upper side gallery as a site-specific installation.